Social media has snowballed in importance over the last decade. But just how much do people love their Facebook, Instagram, YouTube, and other such accounts? We’ve looked at the numbers and come up with some key social media statistics and facts. The figures are truly mind-boggling. There may still be hold-outs, who shun the new type of media, but there are undoubtedly many people who have embraced social media and use it daily. 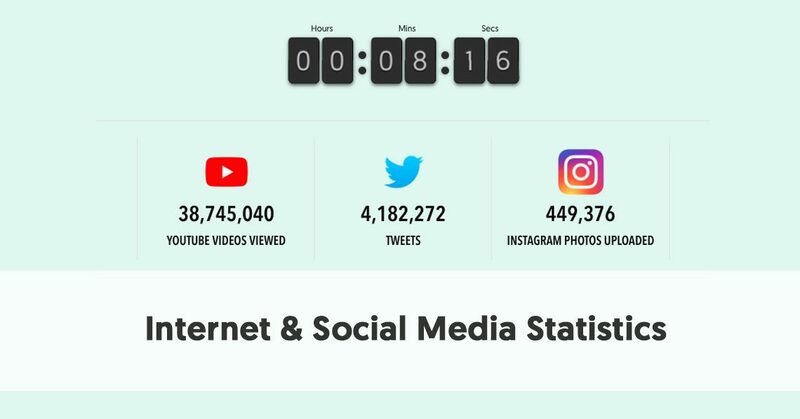 While we have tried to gather the most up-to-date statistics and facts for this article, the nature of social media means that they will always be changing. 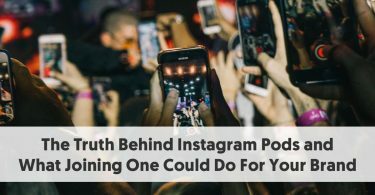 That is one of the reasons we’ve developed our tool that demonstrates the changes to the top Instagram accounts over the last five years. To put all of these statistics into perspective, the world population in April 2019 is edging up to 7.7 billion people. This population has already grown by 21.8 million this year. There were 4.3 billion internet users in March 2019, more than half of whom are in Asia. Perhaps unsurprisingly, though, North America has the highest percentage of its citizens as internet users – 89.1%. Below is an interesting visualization of what happens on the internet in real time. Facebook had 2.32 billion monthly active users worldwide, as at the 4th quarter of 2018. It surpassed 1 billion in Q3 2012 and 2 billion in Q2 2017. Active users are those who have logged in to Facebook during the last 30 days. If you widen the definition of Facebook to include all the company’s core products (Facebook, WhatsApp, Instagram, and Messenger), 2.7 million people used at least one of the products each month in Q4 2018. India is the country with the most Facebook users – 300 million as of January 2019. The United States comes second, with 210 million Facebook users. 68% of Americans now use Facebook. Roughly three-quarters of those users access Facebook daily. Except for those 65 and older, most Americans across a wide range of demographic groups now use Facebook. However, Facebook usage has plateaued and is the same percentage as in 2016. 74% of US Facebook users visit the site at least once daily. This is the highest rate for any social network. 51% of Facebookers visit more than once a day, 23% once a day, and just 26% less often. The percentage of Facebook users who visit the site daily is unchanged compared with 2016. Facebook is popular among all demographic groups, though some adults are more likely to use it than others. 74% of US women use Facebook, compared to 62% of US men. 81% of those ages 18 to 29 use Facebook – about twice the share among those 65 and older (41%). However, the percentage of older Americans who use the platform has doubled since August 2012. Facebook is used by around half of America’s teens, but it is no longer as important to them as it once was. 51% of US teens say they use Facebook, but only 10% say that it is the social network they use most often (Snapchat has that honor). The percentage of 13 to 17-year-olds using Facebook is lower than those using YouTube, Instagram, and Snapchat. This Pew Research 2018 survey shows how quickly teens change their social media habits, In Pew’s previous (2015) study, Facebook was the most popular platform with teens, with a 71% usage rate, and 41% (the top figure) saying it was their most important social network. 43% of US Adults now gain their news from Facebook. This is double the number of the next highest rated social channel (YouTube). Putting this statistic in context, 68% of Americans get some of their news on social media (20% often, 27% sometimes, 21% hardly ever). Unfortunately, the same survey indicates that 57% of social media news consumers expect the news they see on social media to be inaccurate. Facebook is clearly a favorite place for businesses. There are now 80 million pages set up for small and medium-sized businesses. This represents a 23% increase over last year. However, businesses have been slower to use Messenger. Just 31% of businesses use Facebook Messenger. Considering that Messenger has 1.3 billion users sending 8 billion messages between businesses and people monthly, this looks like a missed opportunity for many businesses. 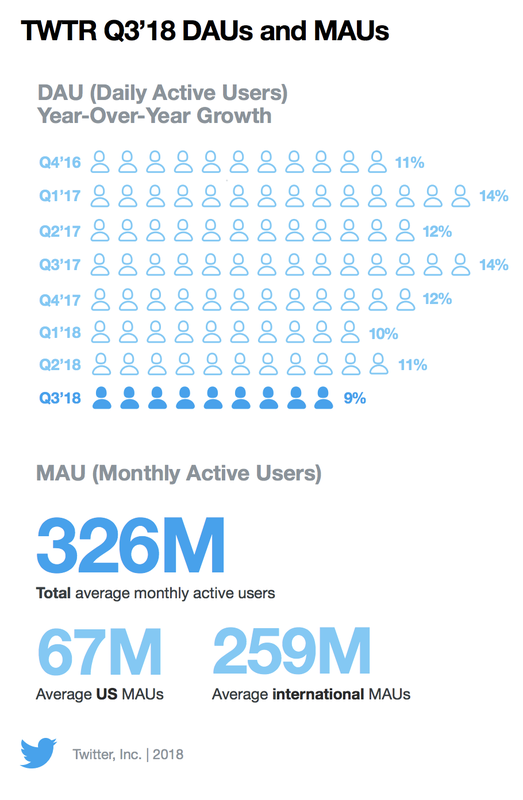 Twitter has 326 million monthly active users. Daily active users grew by 9% in Quarter 3 2018, after growth rates of 12%, 10%, and 11% in the previous three quarters. With 47.05 million users, the United States has the most significant number of Twitter accounts. Japan takes the second spot with 38.6%, followed by the United Kingdom with 13.6 million Twitter users. While India has a large Facebook base, its 7.65 million Twitter users are well down the order, in 7th position. The most-followed Twitter accounts include Katy Perry, Justin Bieber, and former U.S. president Barack Obama. 24% of online adults in the United States use Twitter. This statistic has plateaued since 2016 and is just 1% higher than the 2014 figure. Twitter’s years of most significant growth were between 2010 and 2014. It appears that this plateau in Twitter use will continue. eMarketer estimates that Twitter usage will grow by less than 1% in 2019. Millennials are the generation that most enjoys tweeting. eMarketer expects 21.0 million millennials will use the social platform in 2019. Teens don’t particularly rate Twitter as a social media platform. 32% of US teens admit to using Twitter, and only 3% say they use Twitter most often. Twitter’s total revenue grew from $590 million in Q3 2017 to $758 million in Q3 2018. The bulk of this was advertising revenue, which rose from $503 million to $650 million. Twitter has more than 3,800 employees, working in over 35 offices worldwide. Twitter is extremely popular with the world’s politicians. Donald Trump uses Twitter on almost a daily basis. 97% of the 193 UN member states have an official presence on the platform. Former US president, Barack Obama has 105 million followers, the second most popular Twitter account in the world. Donald Trump is rapidly catching up with 59.6 million followers, 13th overall. 70% of B2B marketers use Twitter for marketing, compared with 62% of B2C marketers. Only LinkedIn and Facebook are more popular with B2B businesses. 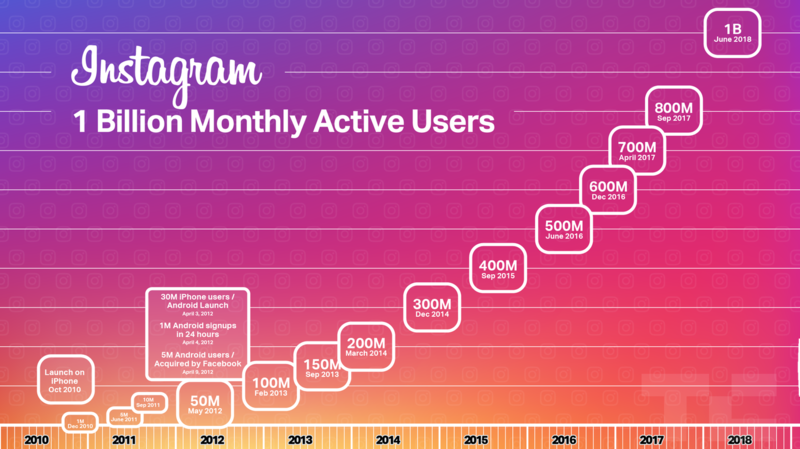 Instagram passed 1 billion monthly active users in June 2018. They have not yet released update statistics since then but considering that Instagram gained 200 million users in the nine months from September 2017 to June 2018, it is probable that Instagram users have risen by a similar amount since the last announcement. Instagram internal data showed in September 2017 that more than 500 million of those with Instagram accounts are active on the social network every day. Instagram Stories has turned out to be highly popular. Most of those who use Instagram daily also use Instagram Stories – over 500 million people daily. Instagram is one of the three platforms of choice for US teenagers. 72% of the teens Pew Research surveyed admitted to using Instagram, with 15% saying it was their most used platform. Back in 2014, just 52% of teens claimed to use Instagram. There is a clear difference between the sexes, however. 23% of girls use Instagram, compared to 17% of boys. Nearly two-thirds of Instagram’s users are aged between 18 and 34, balanced evenly overall between males and females. This Statista data conflicts the Pew Research data above showing Instagram users to be 50% male and 50% female. The largest groups of Instagram users are 18-24 males (17%), 25-34 males (17%), 25-34 females (16%) and 18-24 females (15%). There are few older Instagram users. Males, 65+, only make up 1% of Instagram users. Similarly, females 65+ only make up 1%, males 55-64 1%, and females 55-64, 2%. The United States is still the leading country for Instagram fans. As at Jan 2019 there were 120 million US Instagram users. The second-ranked country for Instagram use is India, with 75 million users, followed by Brazil with 69 million. Instagram posts get an average of 1,261 likes. This statistic from Mention is surprisingly high. But it must be remembered that it is the average (mean), not the median number of likes. Posts from celebrities and influencers get a considerable amount of likes, and this obviously impacts on the average statistic. The median is closer to a more realistic 200 likes. 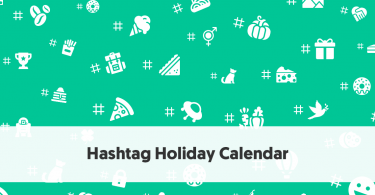 Mention also found that 66.6% of Instagram posts contain one or more hashtags. Clearly, hashtags are important on Instagram. This compares with their Twitter report that shows only 40% of tweets include a hashtag. However, contrary to expectation, their data also showed that hashtags didn’t seem to increase engagement rates. They found that the average number of engagements went down with every hashtag you add. Instagram ad revenue is predicted to rise to $10.9 billion in 2019. eMarketer predicts that Instagram ad revenue will grow from $4.10 billion in 2017 to $10.87 billion by 2019. As we recently reported, the most popular account on Instagram is its own account with 290 million followers. That aside, the most popular accounts are Cristiano Ronaldo (160 million), Ariana Grande (150 million), and Selena Gomez (148 million). The most popular brand (excluding Instagram itself) is National Geographic (106 million). YouTube has launched local versions in more than 91 countries. You can navigate YouTube in a total of 80 different languages (covering 95% of the Internet population). YouTube is rapidly becoming a platform of choice for teenagers. 85% of US teenagers reported they used YouTube in 2018. 32% stated that it was the online social platform they use most often. 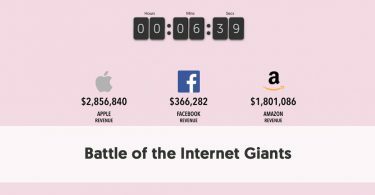 YouTube is the world’s second most popular website, #2 in Alexa’s Top 500 Sites on the Web. With Google taking the #1 slot, that also makes YouTube the second most popular search engine in the world. 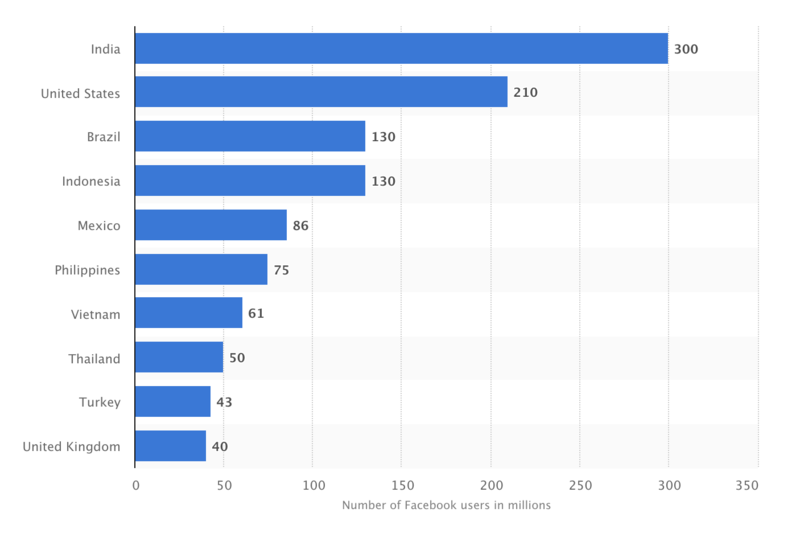 It heads off Facebook, which has the #3 slot and Chinese search engine, Baidu at #4. Alexa also calculates that the average time people spend on YouTube is 8:48 per day and that each visitor averages 5.05 pageviews. It receives 11.3% of its traffic from search, an has 1,915,217 sites linking to it. According to YouTube’s internal stats, the number of channels earning six figures per year on YouTube grew more than 40% year on year. The number of channels earning five figures per year on YouTube increased more than 50% year on year. Clearly, YouTube can be highly lucrative for its best creators. 70% of YouTube’s views are on mobile. While YouTube is now available on most smart TVs, most people still opt to watch it on a much smaller screen – their phone. Another possible reason for this is that many people choose to look at YouTube while they are commuting, often in public on a train or bus. 47% of the time that people spend listening to on-demand music is on YouTube. 5% is on video streaming on other platforms,28% is on paid audio streaming, and 20% is free audio streaming. 35 % say the main reason for not using a paid audio subscription is that anything they want to listen to is on YouTube. Forbes predicted the top-earning YouTuber in 2018 was 7-year-old Ryan who showcases his favorite toys in his channel Ryan’s Toys Review. Forbes estimated that Ryan earned $22 million. He was followed by Jake Paul ($21.5 million), Dude Perfect ($20 million), DanTDM (#18.5 million), and Jeffree Star ($18 million). Long-time YouTube favorite, PewDiePie, was down to #9 in Forbes’ list), although his $15.5 million estimated 2018 earnings are still decidedly healthy. PewDiePie recently critiqued our previous estimate of his earnings in one of his recent videos. The most watched video on YouTube is "Despacito" by Luis Fonsi featuring Daddy Yankee. It has had 6.11 billion views to date. The song was first uploaded to YouTube in January 2017. It topped the charts of 47 countries and entered the Top 10 in ten others. It was the first song to top the Billboard 100 in Spanish in 20 years. Despacito became the first video on YouTube to reach both three and four billion views. It took YouTube’s All-time Number 1 spot in August 2017. Incredibly, more than 50,000 years of product review videos were watched between July 2015 and June 2016. YouTube video is particularly handy for people wanting to see how a product is actually used. It allows them to see others’ real-life experiences before they choose whether to open the product’s box. LinkedIn is clearly beloved by B2B marketers. In Jan 2018, 79% of B2B marketers used LinkedIn (second only to Facebook) compared with just 47% of B2C marketers. LinkedIn is the world’s largest professional network, with more than 610 million users in more than 200 countries and territories. LinkedIn was slow to take off, however. Although it launched on May 5th, 2003, it generated only 6,000 users in its first month. By the end of its first six months, LinkedIn had 37,000 users. Microsoft paid $26.2 billion for LinkedIn in 2016. LinkedIn’s blog reported in 2017 that 80% of B2B marketing leads from social media come through LinkedIn. 92% of B2B marketers use the platform over all others. 46% of social media traffic to company sites comes from LinkedIn. They also claimed that 92% of B2B marketers leverage LinkedIn over all other social platforms. It is evident that LinkedIn is an essential part of B2B marketing for many firms. LinkedIn has more than 14,000 full-time employees (more than 5,500 in the San Francisco Bay Area) with offices in more than 30 cities around the world. These numbers have grown dramatically this decade. LinkedIn began 2010 with 500 full-time employees, increasing to 1,000 at the beginning of 2011, and 2,100 in 2012. More than 70 percent of LinkedIn’s members are outside the U.S.
40% of LinkedIn members visit the site every day. It is clearly a site where young professionals consider it worthwhile to spend their time. LinkedIn page updates including links can see up to a 45% higher follower engagement than updates without links. Links act like a call to action to people – they suggest that there is something extra worthwhile to check out. 250 million people now use Pinterest every month. 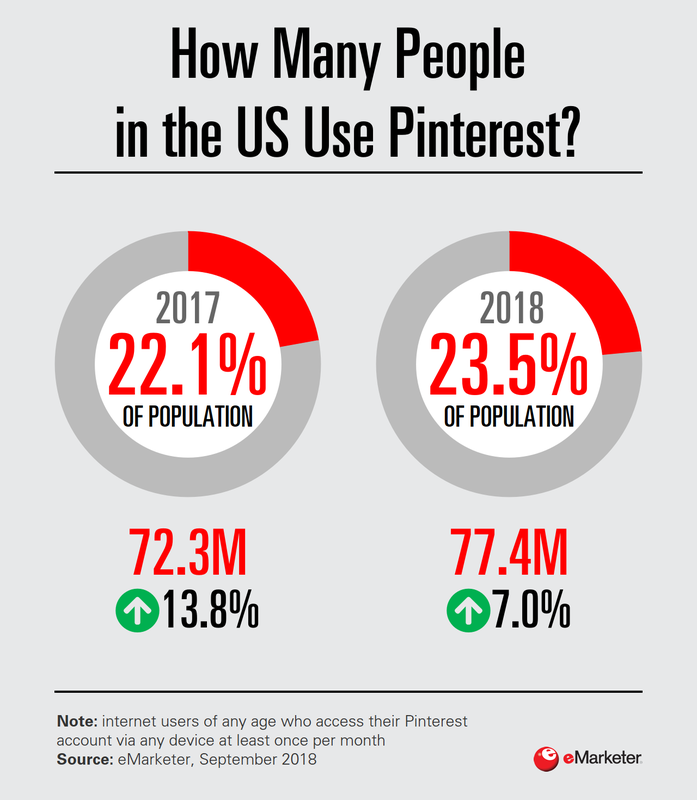 Pinterest reached that milestone in September 2018, so the numbers may be even higher now. They have calculated that if Pinterest were a country, it would be the fifth largest in the world! More than half of the people on Pinterest—and 80% of new signups—come from outside the United States. There are now more than 175 billion pins on Pinterest, up 75% over the last year. Although Pinterest is more niche than most of the social networks covered here, it still has a sizeable business base. There are 1.5 million businesses who have set up boards on Pinterest. People on Pinterest rate ads on Pinterest 1.4 times more relevant and useful than those on other platforms. Pinterest is the No. 2 social network among baby boomers, behind Facebook. Its current focus on home products and décor appeals to middle-aged and older women. Snapchat is the now the social platform of choice for teenagers, with 35% of US teens in 2018 saying it was the network they used most often. However, only 69% of teenagers use Snapchat, behind both YouTube and Instagram. Clearly, those teenagers who do use Snapchat, consider it an essential part of their daily lives. As a comparison, 41% of teens claimed to use Snapchat in Pew Research’s 2014 survey. Despite cries of “doom and gloom,” Snap’s total revenue has risen for each of the last three years. Snaps’ 2015 revenue was $56.7 million (and they made a Gross Loss of $123.7 million). 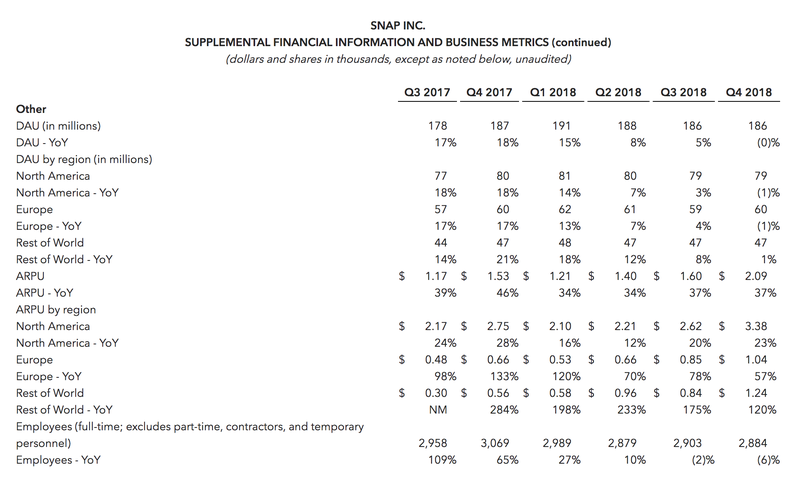 In 2016, however, Snap’s total revenue improved to $404. 5 million, continuing to $824.9 million in 2017 and $1.18 billion in 2018. The Story Wars (between Snapchat, Instagram and Facebook) has had an impact on Snapchat’s growth, however. Snapchat admitted in its Q2 2018 earnings that user numbers fell from 191 million to 188 million. It’s most recent financial results announcement states that there are now 186 million users. On average, Snapchatters use the app over 20 times a day, and spend an average of 30 minutes on the app, creating 3 billion Snaps daily.